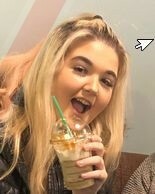 Molly Ratcliffe aged 13 has been missing since the 2nd of May. Molly was last seen in the Catchgate area of Stanley County Durham on Wednesday night but failed to return home. Molly is wearing a red jacket with black trousers. Please if anyone knows of Mollys whereabouts you can contact the police on 101 or private message us and we will pass on the information. Let’s get this young girl home. ?